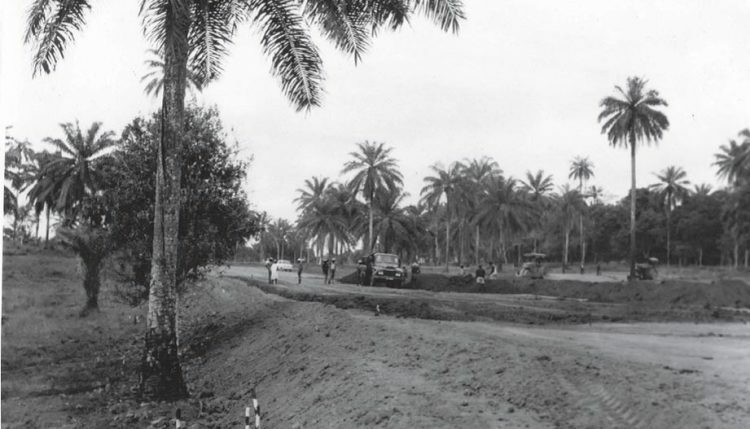 The entrance to IITA under construction in 1968. IITA celebrate its 50th year of founding in 2017. As IITA starts to celebrate its golden jubilee, we take a “then and now” look at Headquarters, Ibadan. The Institute was formally established as an autonomous, nonprofit organization on 24 July 1967. Earlier, in 1966, the Ford Foundation formally appropriated $5 million for the first phase of construction of the IITA Headquarters; capital costs would eventually reach $25 million. 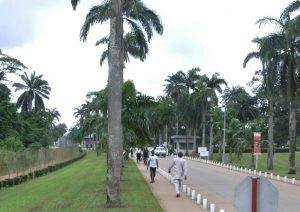 The entrance to IITA in 2016. The first “office” of IITA was set up on the third floor of the Barclays Bank Building (now the Union Bank building) in downtown Ibadan. Meanwhile the scientific staff and the library were located a short distance away in Bodija. 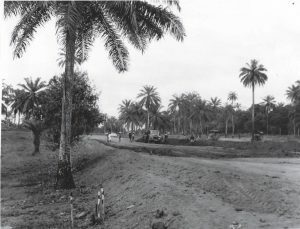 Construction of IITA headquarters began in 1968, and in spite of difficulties in obtaining materials during the civil war, some buildings were in partial use by 1969-70. As to the IITA 50th anniversary in 2017: will there be any program item for, or involving former IITA staff? Hello Hendrik, yes there will be a program for IITA Alumni. We should be posting details online once there plans have been finalized. Nice to see your comments about IITA’s 50th Anniversary next year. We Alumni members in the UK are in touch with the Institute who have indicated that details will be released soon. Hope to see you in Ibadan next July.